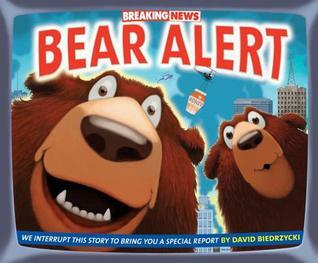 Breaking News: Bear Alert by David Biedrzycki was a nominee for the 16-17 South Carolina Picture Book Award. While two bears are having a good time in the city (and the media and townspeople are freaking out), burglars are at large in the background. Little do they know that bears and burglars are about to collide while the world watches! The most entertaining aspect of this book is picking out the many bear-related (and often hilarious) details in the illustrations. Readers who enjoy word (and picture) play will definitely enjoy this book. They’ll delight in picking out all of the “beary” fun on each page, including a sometimes difficult-to-find bear print. Older readers may like this charming book more that little ones. There’s just so much to see, and so much that may go over the heads of the youngest readers. Some examples include: on-camera interviews with G. Adams, Teddy Bahr, Chris Robbin, Mrs. Locks, and Stan and Jan B.; locations like Baloo Balloons, Smokey’s BBQ, Pooh Street, and Teddy’s Diner; food and costumes that bring to mind favored childhood stories; and so much more! 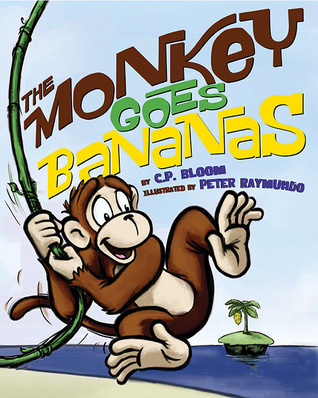 The Monkey Goes Bananas, written by the creative team known as C.P. Bloom and illustrated by Peter Raymundo, is a nominee for the 2016-17 South Carolina Picture Book Award. The Monkey Goes Bananas, a nearly wordless picture book, is sure to engage the youngest readers and encourage them to use their imaginations. How will the monkey get to the bananas he seeks? What could stop him along the way? What will happen next? Little ones will delight in answering these questions and trying to predict what happens with this monkey. Aside from the fun and energy kids will encounter in this book, they may also learn a few lessons along the way. The monkey is committed to getting some bananas, and he works hard to achieve his goal. He uses the resources around him to get what he wants, and he doesn’t allow any hardships, like a hungry shark in the water, get in his way. Does it all turn out okay in the end? Not exactly, and that is true to life. Sometimes, no matter how hard one works or might want something, circumstances get in the way. The Monkey Goes Bananas, in a very real way, presents this difficult lesson in a way that is accessible to even the youngest of readers. Additionally, this book may serve to introduce young readers to story-boarding and comic book formatting. The illustrations resemble cartoons, and children could have a great deal of fun creating their own thought bubbles to go with the action in each picture. 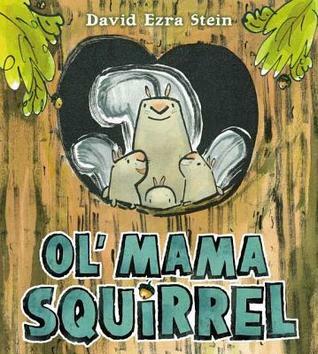 Ol’ Mama Squirrel by David Ezra Stein was a nominee for the 15-16 South Carolina Picture Book Award. Ol’ Mama Squirrel is a charming book about the protective nature of a mother. Ol’ Mama Squirrel is an expert at scolding, and she gives a firm “Chook chook chook!” to anyone or anything that comes near her babies and their home. She shames cats, owls, dogs, kites, airplanes, and even people, but she may have met her match when a grizzly bear enters the picture. Ol’ Mama Squirrel tries and tries to get that grizzly bear to leave her babies alone, but he seems determined to make her whole family his next meal. So what’s a mom to do? Well, this particular squirrel does the only thing she can…she calls for reinforcements. Ol’ Mama Squirrel is sure to be a hit as a read-aloud, especially if it’s used in a setting with parents and children. Many readers, young and old, will see characteristics of their own mothers in that of Ol’ Mama Squirrel. (I know I did.) This would also be an excellent gift for moms from their little ones. Charlie Bumpers vs. the Teacher of the Year, written by Bill Harley and illustrated by Adam Gustavson, is a nominee for the 2015-16 South Carolina Children’s Book Award. Charlie Bumpers should be excited about going into the fourth grade. He would be…if his teacher were anyone but Mrs. Burke. Charlie has history with Mrs. Burke, so he’s sure that she’s going to make his life absolutely miserable. And he doesn’t care that she’s the Teacher of the Year. Charlie didn’t vote for her. Charlie hopes that his entire fourth grade year won’t be horrible, but how can he get things on the right track when Mrs. Burke is always waiting on him to mess up? Can he turn things around? Is Mrs. Burke really all that bad? 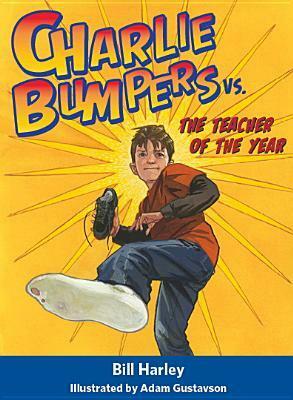 Find out how Charlie comes to terms with Mrs. Burke when you read Charlie Bumpers vs. the Teacher of the Year! 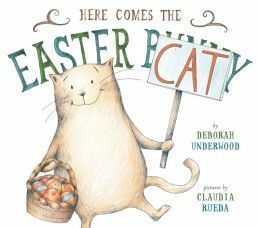 I think this book would be an excellent read-aloud for upper elementary classrooms, especially fourth grade. It’s both funny and relatable, and I think kids will really enjoy it. Also, it’s the first book in a new series, and many students are always game for a cool new series (especially young readers who either really like or are a little tired of Diary of a Wimpy Kid). 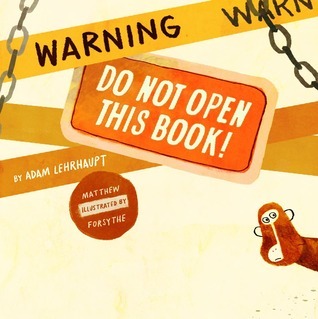 Warning: Do Not Open This Book!, narrated by Adam Lehrhaupt and illustrated by Matthew Forsythe, is a nominee for the 2015-16 South Carolina Picture Book Award. Warning: Do Not Open This Book! is a great interactive picture book perfect for fans of Mo Willems’ We Are in a Book! and B.J. Novak’s The Book With No Pictures. It invites the reader to really be a part of the story and figure out a way to keep messy monkeys, noisy toucans, and scary alligators from tearing the book to pieces. The solution? A banana trap, of course. Readers young and old are sure to find something to enjoy in Warning: Do Not Open This Book! It is an engaging book that tears down the fourth wall between author/illustrator and reader. The reader is just as important to a successful telling of this story as those who penned it. From rundown hotels to lost wallets and cell phones to destructive pigs to unfortunate car mishaps, the Heffley family goes through loads of mayhem and madness on this most epic of road trips. Everything that could possibly go wrong is going wrong on this horrible vacation. Will Greg and his family make it out of this with their sanity intact? Can anything go right for them during this trip? What more could they possibly endure? 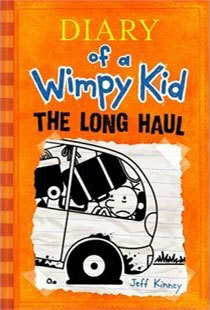 Join Greg Heffley on yet another wild ride when you read Diary of a Wimpy Kid: The Long Haul!